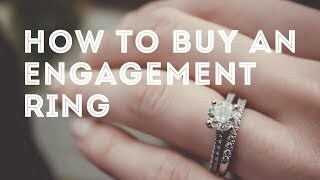 Published on 2/20/2016 by alpha m.
Alpha has never been more confused and out of his comfort zone than when he bought his wife's engagement ring. He had zero idea what to expect, what he was looking at, what it should cost, or if he was getting ripped off. Clarity, color, setting, budget!? He had no idea! All he wanted was a diamond ring! 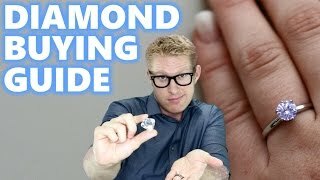 In this video men's style, grooming, fitness and lifestyle expert, Aaron Marino of IAmAlphaM, AaronMarino, and Pete & Pedro has teamed up with leading online diamond bridal jeweler http://www.jamesallen.com to help viewers understand the diamond buying process including what you're looking for, why you're looking for it, and the different aspects of buying a diamond. Tips to save some cash are also given. The goals is to give you enough info so you know what you're doing when you shop for some bling. Alpha doesn't understand the allure of diamonds. Women lose their mind over them, however. 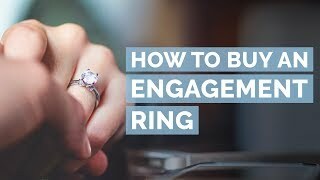 When's the last time when you were sitting with your girl when she exclaims, "OMG, did you see the size of that ring!?" First, determine the diamonds shape. Alpha discusses each with a chart and recommends selecting 'round' because it's always in style & in vogue, and she'll always love it. Other options are emerald cut , princess cut, heart, radiant, oval, marquise, asscher, and pear. Color - colorless is the best quality with near colorless next to the best (D,E,F,G,H). Slightly tinted, faint yellow, very light yellow, and light yellow round out the not desirable (I - Z). Clarity - inclusions are spots that are out-of-place and less clear. The less inclusions, the more expensive the diamond. Alpha discusses with a chart (IF, VVS1, VS1, SI1, I1) Cut - Alpha discusses the versions which dictate what the diamond looks like. The sparkle is more lustrous from the 'ideal' cut diamond: very shallow, shallow, ideal, deep, very deep). Carat - the carat is the weight of the diamond and correlates to the size of the diamond. The setting is the band and prongs that the diamond is set-in and can make the diamond look 20% larger. Buy what you can afford. Set your budget and upgrade later. 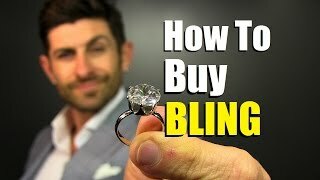 Buying online can afford you a bigger diamond at a lower price. A great resource and educational tool is JamesAllen.com http://www.jamesallen.com. They have over 70K conflict-free diamonds to choose from. 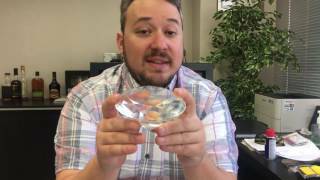 You set all of your criteria, such as diamond cut and clarity, and your results are revealed. 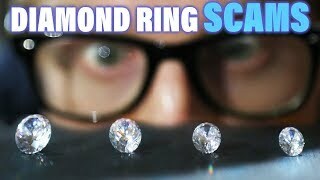 JamesAllen.com shows you the actual diamonds that you can chose from with their HD 360° view of their diamonds-- zoomed up to 40x magnification! They also have gem stones and wedding bands. Buying online with a site like JamesAllen.com is 30-50% cheaper than regular retailers. JamesAllen.com offers a 100% 30-day money back guarantee. Their sales associates are non-commissioned and available 24/7. Each purchase comes with a life-time warranty, and you can get your ring resized for free.